Captain Henry Blanchard, master of the brig Thaddeus (that brought the Pioneer Company of missionaries to the Islands in 1820,) married a Molokai chiefess named Koloa. They had a daughter, Harriet, born in 1831. Harriet married an itinerant English actor, John Townsend, whose dramatic company performed in Honolulu. He gave up acting and invested in a sugar plantation (that went bankrupt.) Then he disappeared, leaving Harriet with their two children Eveline (Kittie) and George. The Wilsons had a son, Johnny. CB Wilson was appointed Marshal of the Kingdom. In 1897, Johnny Wilson and fellow Stanford student Louis Whitehouse won the bid to expand and construct a ‘carriage road’ over the Pali. Ground was broken on May 26, 1897 and the road was opened for carriages on January 19, 1898. Later, her son Johnny Wilson got involved with politics and is credited as being the most important Democrat in the first half of 20th-century Hawaiʻi; his name is used with Jack Burns in the party movement. He was in a meeting on April 30, 1900 that organized the Democratic Party of Hawaiʻi and served as Honolulu Mayor. Clarence Hyde Cooke was born April 17, 1876 in Honolulu, Hawaii, the second son of Charles Montague Cooke and Anna Rice Cooke (and grandson of missionaries Amos Starr Cooke and William Harrison Rice.) He graduated from Punahou (1894,) and attended, but did not graduate from Yale. He married Lily Love, daughter of Robert Love on August 11, 1898; they had eight children: Dorothea, Martha, Anna, Clarence Jr, Harrison, Alice, Robert and John. Cooke began his business career in Honolulu with Hawaiian Safe Deposit & Trust Co, in 1897. The next year he was at Bank of Hawaiʻi and about 10-years later (1909,) he succeeded his father as president of the bank and became Chairman in 1937. The home has the distinctive double-pitched ‘Dickey Roof’ (following the signature element of architect CW Dickey.) The 24-room Cooke mansion (including 10-bedrooms, 7-full bathrooms and two half-baths) is noted for its sprawling spaciousness, numerous lanai, Hawaiian hipped roof and lush grounds. The two-story white-washed brick and frame residence features an asymmetrical plan which lends the building a sense of sprawling informality. The house is laid out with two wings running perpendicularly in opposite directions off a formal entry hall. A number of lanai extend out from the principal rooms on both the ground and second floors. 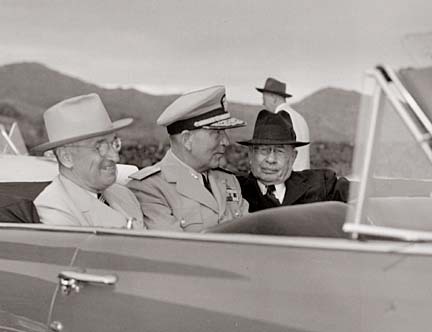 At about this time, Johnny Wilson, the builder of the original carriage-road over the Pali, was re-elected Mayor (1948.) One of his first actions was to seek approval from the Territorial Legislature for an increase in the gasoline tax to pay for a tunnel in Kalihi Valley. Wilson argued the Kalihi alternative would serve the entire windward side, while the Pali would merely be a private access road for Kailua residents. Marks went to court to block the proposed highway. After lengthy legal battles, in 1956, the government bought 7-acres of the 17-acre estate, and also bought the home and other improvements. The State government then used the estate for office space, conferences and special events, and it was put on the National Register of Historic Places in 1986. After trying to sell it for years, the State finally auctioned off the property in 2002. Reportedly, it had been appraised for $4.5-million, but labor union Unity House Inc bought it for $2.5-million. Real property tax records note a subsequent (2006) conveyance of the property for $4.41-million. Later listings note the property has since been on and off the market. 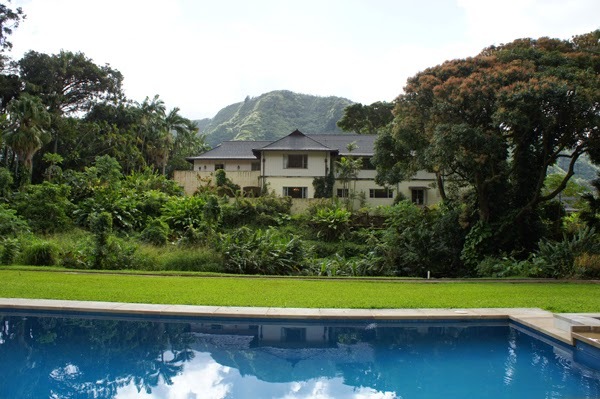 The image shows the Clarence Hyde Cooke Home, otherwise known as the Marks Estate (chang; honolulumagazine.) In addition, I have added some other images in a folder of like name in the Photos section on my Facebook and Google+ pages.